Miraheze's Goals for the second half of 2018 (July 1st ~ December 31st). an objective for Operations (infrastructure, introducing a new service, major work etc.). MediaWiki and development tasks can be added freely by anyone assuming someone has in the past hinted at the possibility they would be willing to work on it or have a noticeable impact on communities. Operations tasks should only be added by members of operations as they have full control over their priorities and workflow, not subject to community benefit. John set this project's icon to Goal. John set this project's color to Green. MacFan4000 updated this project's image from F777049: fa-flag-checkered-green.png to F777055: fa-flag-checkered-orange.png. 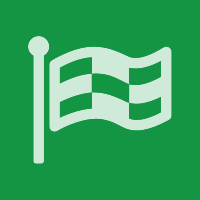 John updated this project's image from F777055: fa-flag-checkered-orange.png to F777335: fa-flag-checkered-green.png. MacFan4000 removed a hashtag: #currentgoal. MacFan4000 set this project's color to Green.